A report on the Medscape Oncology site on Tuesday discussed prostate cancer detection data presented at the annual meeting of the American Urological Association (AUA) by a group of Italian researchers — with the help of two highly trained German Shepherds. Taverna et al. (abstract no. PD19-01 in the AUA session on Prostate Cancer Detection & Screening I) report that the two Shepherds (referred to simply as Dog 1 and Dog 2 in the abstract, but actually known as Liu and Zoey) were able to to detect the presence of prostate cancer with an accuracy of 98.1 percent among > 800 samples tested — including samples from men with very low-risk disease, men with metastatic disease, healthy males, healthy females, and patients with non-neoplastic diseases or non-prostatic tumors. The finding that trained dogs can detect prostate cancer is not new. What is new is that highly trained dogs can detect prostate cancer with this level of accuracy … and Liu and Zoey are indeed highly trained. According to Dr. Taverna, they are dogs that are also experts at detecting explosives, and he used the phrase, “They are Ferraris,” to compare them to the Italian high-performance cars. All urine samples were frozen samples from hospitals in the Milan area of Italy. The samples were all thawed prior to the tests and placed in mesh-covered bowls. The dog handler first walked a single, blindfolded dog in a circle around a series of bowls. The dog handler then walked the same dog around the full circle for a second time, stopping at specific bowls if the dog thought it contained urine with prostate cancer odors. 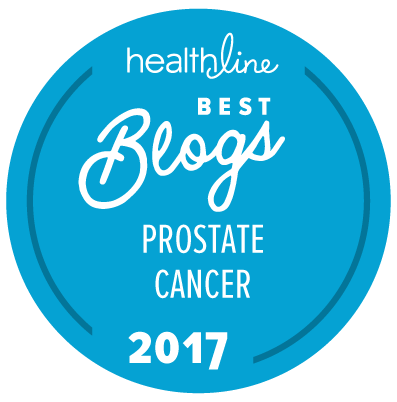 Urine samples were tested from 362 men with prostate cancer and 540 controls (although only 677 samples are mentioned in the original abstract). An overall accuracy rate of 99 percent. The dogs were able to detect low-risk and more advanced prostate cancers with equal facility. In their evaluation of the rare, wrongly evaluated samples, the researchers were unable to identify differences between epidemiologic, clinical, or histopathologic characteristics of the samples. Now whether it is practical, clinically, to use dogs to identify prostate cancer in this way is open to some question. Dr. Taverna seems to think that he could organize an international center to train dogs, and then send them to other countries and medical centers. On the other hand, we do know that “electronic noses” are already pretty good at being able to identify prostate cancer in urine samples, and it is clear that the analysis of volatile organic compounds (VOCs) in urine is a very promising approach to cancer detection. We don’t yet know exactly what VOCs the dogs are detecting in order to be able to detect the same VOCs with electronic noses. We don’t yet know if it is possible to differentiate between clinically significant and clinically insignificant forms of prostate cancer based on the VOCs detectable by the dogs. What is very clear from this study, however, is that it is possible to detect the presence of prostate cancer with an extremely high level of accuracy, based entirely on the VOCs present in urine. There has to be a screening and diagnostic opportunity here that may put paid to the need for things like the highly inaccurate PSA and other tests on which we are currently dependent. The levels of accuracy achievable by Liu and Zoey massively outperform those achievable by PSA testing or by any other test known to date! Given that we would probably want to screen all males over 40 at least once a year, it is hard to see any way a dog-based program would be practical. But surely the electronic nose technology could be perfected? (I know that it is currently used to detect explosives with a fair degree of success). Maybe a third problem — do we have enough dog biscuits? Incredible! Whatever it takes, we need to pursue this avenue of diagnosis. It has been a long road from a Gleason 8 diagnosis, proton therapy, to my last Lupron shot. Waking up to this newsletter every Monday morning with updates has really kept me going.